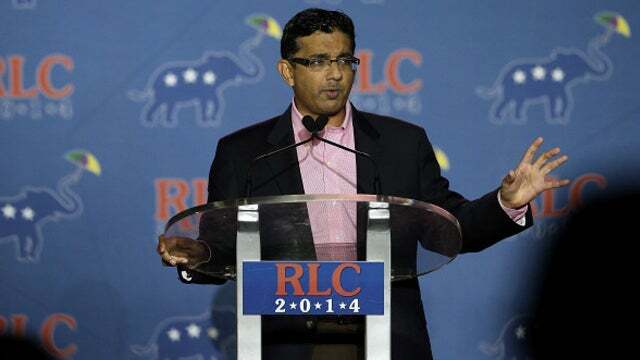 RUSH: President Trump has pardoned Dinesh D’Souza. He was sent to jail on some really flimsy campaign finance charge, and he’s now been pardoned. It’s being reported now that the president is also considering pardoning both Rod Blagojevich (the disgraced former governor of Illinois) and Martha Stewart. Now, Blagojevich and Martha Stewart. 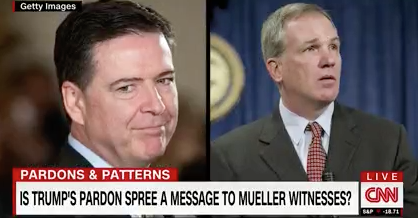 What do those two people have in common with the pardon of Scooter Libby? What did they have in common? Blagojevich, Martha Stewart and Scooter Libby were prosecuted by Comey. Now, there was a special prosecutor, Patrick Fitzgerald, but Comey is who named him. (laughing) So Trump is pardoning people that Comey has had a hand in convicting. Martha Stewart was convicted of lying to the FBI. Not for any other crime in the conduct of her business, but for lying to the FBI. D’Souza… Folks, D’Souza… There’s nobody that’s been put in jail for what D’Souza did. They have been fined, but nobody has had to serve jail time. Ah, ah, wait! I’m sorry. I was forgetting that poor slob Nakoula Nakoula. Remember him? Nakoula Nakoula is the Egyptian American who made that 14-minute video that nobody ever saw that Hillary and Obama claimed was responsible for all of the terrorist activity at Benghazi. (Snort!) What a sad moment in American history. You know, it’s embarrassing to look back at some of the stuff that happened during the Obama years and stuff we were told. Like this poor guy does a video nobody ever saw, and Obama and Hillary and the whole Obama administration are out there at the U.N. telling everybody that this poor guy and did this video and it caused everybody in the Middle East to go bat you-know-what, bat excrement. And they started killing people at Benghazi, and the video had nothing to do with it. Nobody had ever seen the video! It was a planned terrorist attack. It wasn’t spontaneous because of a video going around. It was such a lie. It was such a flimsy excuse. But this guy was arrested and sent to jail so that Obama could, you know, flex his muscles and show what a tough guy he was. RUSH: So this is great. CNN has a theory about why Trump is pardoning these people, or thinking about it. You know what the theory is? He’s sending a message to Mueller witnesses, “Don’t worry about it. I will pardon you.” (laughing) That would be Flynn; that would be Manafort; that would be Rick Gates and anybody else that Mueller decides to go after. That means they are scared up there. They know Trump can undermine this if he wants to.